It is always a great pleasure to be recognized for your passions and be given the opportunity to share them with others. My friend Nancy Vaughn (of White Book Agency) asked if I would moderate a panel discussion of fashion and retail entrepreneurs at last week’s Techstars Startup Week Tampa Bay. I immediately committed, despite a primal fear of public speaking. I just love supporting startups and especially love fashion and retail more than I hate public speaking. When we act differently from our core personality traits, those what we’re born with (like introversion), we often do so in service of a core personal project or passion, a sort of greater purpose. As an introvert, being “front and center” isn’t my preference, but I push myself to do it because I value my ability to help and promote others’ work in this arena (fashion, retail). Anyway, it ended up being less stressful than I’d imagined—more of an intimate conversation (the kind I love) with a microphone and small but engaged audience. 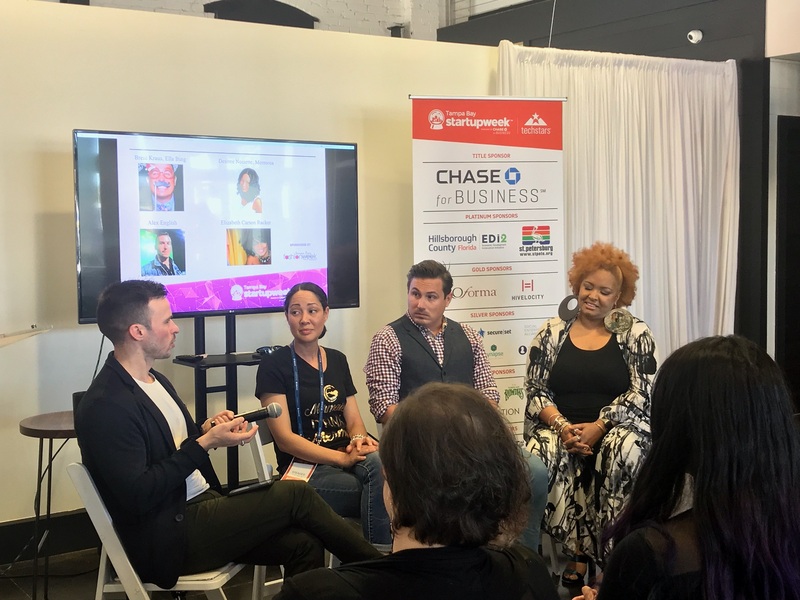 On the panel with me were three local entrepreneurs: Desiree Noisette of Mermosa (currently Cerulean Blu, soon to be renamed), Elizabeth Carson Racker, a designer and custom dressmaker, and Brent Kraus of Ella Bing haberdashery. While the overarching context of Tampa Bay is not known for its local fashion, technology has flattened the landscape for brands to establish a following, control their image, and sell directly to consumers locally and from afar. The one takeaway I found most pertinent that each panelist agreed on was the importance of relationships. So much of style and dressing is about self-love, confidence, and a trusting relationship with the expert giving you advice. The person behind the brand matters, especially to modern consumers who care about how and where things are made and how they support a local doer. And my own add-on comment: quality is intrinsic to maintaining good relationships. Brands (whether product or retailer) want to acquire new customers and build relationships in order to keep them. Thus, they must be transparent and commit to a level of quality (service or tangible item) that is in line with the customer’s expectations. There are simply too many alternatives (especially low-cost ones) if the value of spending a little more on a local/made in USA brand or shopping at a local boutique isn’t apparent to customers. It was such a pleasure to assemble and discuss both broad industry trends and local nuances with these three (plus some others in the audience like Nya Tanaka of Victory Stitch) at Techstars Startup Week Tampa Bay 2018. I would be thrilled to facilitate more discussions like this!